For decades, our communities have supported Baxter Auto Group. It’s what’s kept us family-owned and locally-operated. Because of that, it’s our duty and our honor to give back as much as we can. We develop lasting relationships with organizations throughout the community to strengthen its foundation and provide as many opportunities as possible. 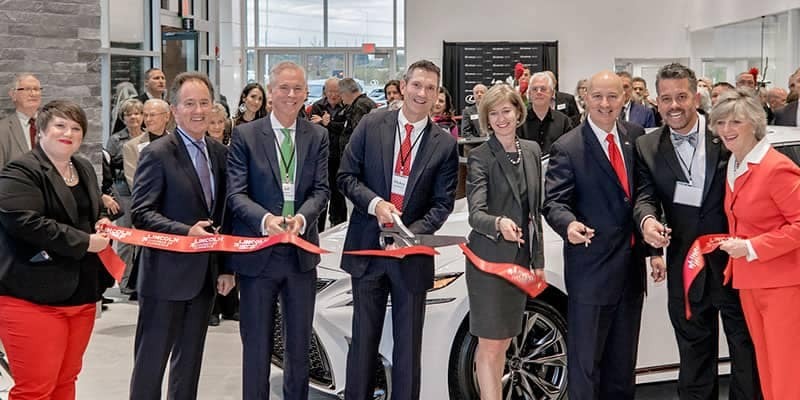 The grand opening of two new dealerships in the Lincoln community was a proud moment for Baxter Auto Group. Even more so, was the collective effort to use the opening as an opportunity to give to a great cause. We enlisted volunteers to transport cars to the new dealerships and, for each car driven, Baxter Auto Group donated $10 to The Team Jack Foundation. Following the event, Baxter Auto Group proudly presented the foundation with a check for $5,000 to support pediatric brain cancer research. Baxter Auto Group is proud to partner with the Avenue Scholars Foundation. This is an Omaha-area program that helps prepare students for high-skill/high-demand careers. Employees at our dealerships have had the privilege of working alongside these talented and hard-working students. Baxter is honored to have been named the Avenue Scholars Foundation’s 2016 Community Partner of the Year. Three Baxter locations – Baxter CDJR West Dodge, Baxter Subaru and Baxter Toyota La Vista – will be participating in a blood drive through the American Red Cross Blood Drive. The blood drive is set up as a benefit for hurricane relief. College Possible wants to make sure each of its 400 junior students are fully prepared for the ACT exams. In order to do that, they each take a total of 5 exams; a baseline, three practice and the formal ACT exam. Baxter Ford South is proud to sponsor a light breakfast for the students. Both Lexus of Lincoln and Baxter Toyota Lincoln are moving into their new buildings this month. Both will be participating in a Massive Test Drive to move all of their inventory from current locations to the new ones. The Nebraska Arthritis Foundation is hosting the 44th Annual Woman of the Year Gala on October 19, this year. The event will be held at the Omaha Marriott with a Patron cocktail party hosted by Cindy and Mogens Bay. This year’s gala will be honoring Melissa Marvin and her efforts to keep Omaha moving forward. In this art exhibit, community artists join children in creating art while also offering their personal art creations as part of the live and silent auctions. The event also includes food and wine pairings from some of the top restaurants along with live classical music performances. Mercedes-Benz of Omaha is proud to be a part of an event where proceeds from the event benefit children who are deaf or hard of hearing. Every fall, Keep Omaha Beautiful has a large-scale cleanup event called Youth Fall Litter Cleanup. This event encourages local youth groups to pick up litter and recyclable items from Omaha neighborhoods, schoolyards, parks, trails, and dam sites. Baxter Subaru will be taking part in the cleanup efforts. The Nebraska Leukemia and Lymphoma Society are hosting a Light the Night Walk. Baxter Subaru is proud to help sponsor this October 2017 event that funds life-saving treatment. The Good Life Halfsy is a half marathon run through some of Lincoln’s most scenic areas. The finish line is set on Canopy Street where everyone can watch each finish on the Cube, the giant screen in the Railyard. The Transition Program offers a variety of services for secondary students with disabilities between the ages of 18 and 21 who have completed their high school program with a certificate of completion or who have not received their high school diploma. The program involves collaborative efforts from the student, the student’s family and school staff to build a plan that will address the students’ individual needs for life after high school. The Omaha Children’s Museum is bringing back the fan favorite exhibits from the past 40 years. Baxter Subaru is proud to help sponsor this anniversary event. Until April 16, 2017 stop in to visit the dentist chair from the 70s, the news desk from the 80s or see the Itty Bitty City and Once Upon a Farm again. Lexus of Omaha sponsors the halftime promotion of the Creighton University Men’s Basketball team. Baxter Auto sponsors the UNO Mavericks Hockey team throughout the year. The Mavericks play at home in the Baxter Arena. Baxter Auto is proud to sponsor the UNO Men’s Basketball team throughout their 2016-2017 season. Lexus of Omaha is proud to be a Major Sponsor of The American Heart Association Heart Ball. The 2017 Omaha Heart and Stroke Ball was Saturday, February 4, 2017. The Heart Ball is an evening to celebrate The American Heart Association’s work, the donors and volunteers and the lives saved. The Heart Ball is one of the American Heart Associations premier fundraising events both locally and nationally. Last year the Heart Ball raised just over $71 million nation-wide. Baxter’s locations in Omaha, La Vista and Bellevue are helping sponsor a dinner to benefit the Catholic Charities. The dinner is part of the Annual Irish Fest: A Celtic Classic. Irish Fest is an annual fund-raising gala and has a silent auction, live auction, dinner and dancing. All of the proceeds from the dinner will benefit the life-saving and life-changing services provided by Catholic Charities. Enjoy the Horse Trail Riding Expo at Chance Ridge in Elkhorn this year. Baxter Chrysler Dodge Jeep Ram West Dodge will be helping sponsor the expo. It runs March 11 and 12. This year’s expo also makes the third year it has been in the metro area. It’s a great event for horse lovers. And offers vendors, clinics and demonstrations related to trail riding – all under one roof. The Girl Scouts are celebrating 100 years this year. To help celebrate, you’ll have the chance to enter to win a RAV4 in the Cookie Car Giveaway from Baxter Toyota La Vista. Just get the secret code from a Girl Scout when you buy your cookies. Lincoln G.O.L.D. is a leadership development and community engagement program. It’s open to high school junior and senior girls. Lexus of Lincoln is proud to be the presenting sponsor for the 2nd Annual G.O.L.D. Gala and to sponsor this organization throughout the year. The North Central Regional Competition for the Air Force National JROTC Drill Championship Series draws more than 100 teams and 600 cadets to Bellevue West High School. More than 20 schools from Iowa, Kansas, Missouri, North Dakota and Nebraska compete. The Lauritzen Gardens Guild is presenting France, Flowers & Friends. This Luncheon and Lecture event features French inspiration. It will feature Sharon Santoni, is “a master at whisking one away to the gentle French countryside.” She has written multiple books as well as continually updating a blog on gardening, entertaining and searching for brocante treasures throughout France. The 10th Annual Speaking of Children Conference and Luncheon is a 3-day conference April 5-7. The conference attracts more than 1200 attendees to hear presentations and participate in breakout sessions. Speaking of Children was built to educate the community in the fight against child abuse and is Project Harmony’s signature event. A fashion and wine event to benefit the Children’s Hospital and Medical Center’s Carolyn Scott Rainbow House. The event will consist of shopping, wine tasting, silent auction, hour d’oeuvres and desserts. It’s a great chance to taste wonderful wines while shopping a fabulous Marketplace of shoes, jewelry and accessories – all to support children and families. CUES helps offer financial support to three of North Omaha’s inner-city schools. The schools CUES supports provide quality education for children with hopes of transforming lives and building hope for a sustainable and successful future. The Gathering Dinner will benefit Sacred Heart School. Kicks for a Cure is a weekend dedicated to beating cancer. Funds are raised through sponsorships, donations and banquet ticket sales. The Benefit Banquet kicks off the weekend Friday night with about 500 people attending to help raise awareness and gives attendees an opportunity to interact with participating players. Saturday features the high school and collegiate games. The matches all have free admission with donations accepted throughout the day. All proceeds benefit Liz’s Legacy. The 2017 Pink Ribbon Affair is the third-annual event that raises funds to help the local fight against breast cancer. This April 2017 event will feature a VIP/Patron party, cocktails, appetizers, a raffle, live music, a wine-paring dinner, live auction and recognition of Pink Tie Guys. This year, keep an eye out for Baxter’s own Mickey Anderson. Join the run or walk through Aksarben Village up to UNO’s Campus or on the Keystone Trail. The Claussen-Leahy Maverick Run helps support the UNO Athletic Department. There is a Claussen 5K run and a Stampede 10K run as well as a Leahy 5K Walk. There will also be an 800-meter kids race for ages 5-12. Launch! 2017 is part of College Possible Omaha’s End-of-Year Celebration. 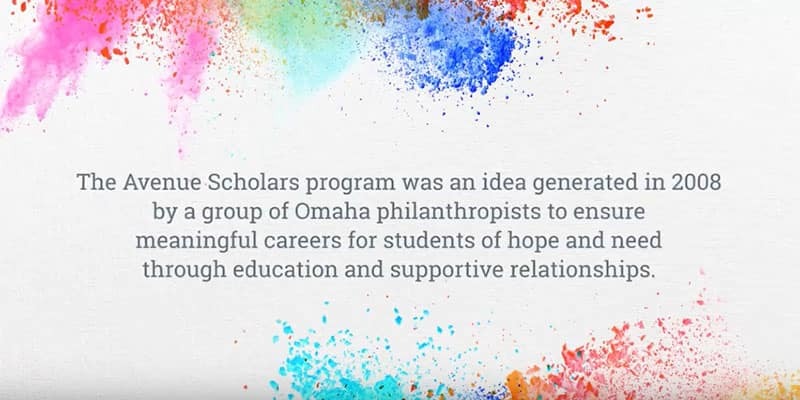 College Possible Omaha has helped more than 650 high school students at 10 partner high schools in 6 different districts for the 2016-2017 school year. The celebration will be in honor of those students, to launch them into their college careers. From 11am until 6pm Earth Day Omaha will take place on the 22nd of April 2017. Hit Elmwood Park during the day for all sorts of events. Enjoy a Children’s tent, a demonstration tent and events all day on the main stage. The Omaha Symphony Gala raises funds to support the symphony’s activities throughout the year. That includes the education programs that reach nearly 30,000 children each year. The Omaha Symphony announced Smokey Robinson will be headlining this April 2017 Gala concert at the Holland Performing Arts Center. Enjoy dinner with your dog by your side. Hang out during cocktail hour and socialize with friends and colleagues. All while your pup gets to enjoy mut-tinis and yappy-tizers. 2017 Dining with Dogs is hosted by Forever Friends on April 22 at the Omaha Design Center. To celebrate its Rich Mexican Heritage, South Omaha’s Latino community has hosted a Cinco de Mayo Parade for decade. Park of the celebration include a grand parade; both Baxter Chrysler Dodge Jeep Ram Bellevue and Baxter Volkswagen La Vista will participate in on May 6. There will also be food, music and booths from May 5 through May 7. You’ll be able to catch both dealerships during that time as well. Baxter Auto is proud to sponsor a table during the Salvation Army’s DJ’s Hero Awards Luncheon. Jewel will be the keynote speaker and will perform as well as share her story. Eight high school seniors will also receive a $10,000 academic scholarship in DJ’s memory. DJ passed away in 1999 at only 18 years old. He had battled cancer for more than 2 years. The scholarships have been set up in his memory and recognize those who share his dedication to others and their community. This golf fundraiser is put on to help raise funds for the Lincoln Children s Zoo. Throughout the May 2017 tournament, Baxter will be along the course serving up food and fun. Baxter’s participating dealerships will have fundraising activities for prizes. Big Omaha is an annual conference that brings the entrepreneurial community together. Lexus of Omaha will be providing shuttle vehicles for the guest speakers during the event. Employees at both Legends locations are offering up their time to help support Habitat for Humanity of Kansas City. Habitat for Humanity of Kansas City has been helping KC family build opportunities since 1979. We’re happy to be able to offer help to continue supporting our community. This year, the Memorial Day run will offer 3 race lengths. There is a kids’ 400-meter fun run, a 1-mile walk/run and a 5-mile walk/run. Baxter Auto is proud to help sponsor this event, held at the Boys Town Skip Palrang Memorial Fieldhouse. Entry fees will be going to support the Center for Childhood Deafness. Baxter’s Lincoln locations are proud to play a part in helping their community. The Empty Bowls Luncheon helps support the Lincoln Food Bank and its programs. Fifteen Lincoln restaurants will be there, offering soups, breads and desserts. Every attendee also gets a hand-crafted pottery bowl from Down Under Pottery. These bowls are to symbolize the bowls the Lincoln community has filled and those it still needs to fill. This event is for Methodist Women’s Hospital employees and triathlon participants. Hosted at INFINITI of Omaha, the event will include refreshments and a Meet and Greet with Allysa Seely; paratriathlon gold medalist at the Rio 2016 Paralympic Games, two-time world champion and 15-time World Cup medalist. Seely will also be giving a keynote address. Baxter Ford West Dodge is proud to sponsor the Medowlark Model A Ford Club for this year’s regional meeting in Omaha. The Model A Club has about 10 clubs nationally that each host regional meets dating back to the mid-1970s. Sponsored by Baxter Chrysler Dodge Jeep Ram La Vista, Sweet Cases for Sweet Faces is an Omaha based community fundraiser that has partnered with “Together We Rise,” an organization dedicated to improving that situation through what they call “Sweet Cases.” A Sweet Case is a duffel bag with a hygiene kit, blanket, teddy bear, coloring book and crayons. Each bag cost $25 to build and 100% of the money raised stays right here in Omaha. Stop by the car show on June 10 to help support the cause. The Sand in the City event benefits the Nebraska Children’s Home Society by bringing 375 tons of sand and 18 corporate and community teams together. Throughout this June 2017 event visitors will be able to watch the teams sculpt, play in the interactive Kid Zone with games and activities, play in a giant sandbox and enjoy lots of concessions. The event ends with gorgeous 15-ton sand sculptures. Last year, Baxter’s Marketing Team took part in the sand-sculpture building contest. Sponsored by Mercedes-Benz of Omaha, the Hops for Harmony event helps raise money to help Project Harmony. The 15th Annual Hops for Harmony will take place at Werner Park. This June 2017 event offers the chance to test out some great beer and food while supporting a great organization. Legends Honda is participating in the Nationwide “Honda Week of Service.” Last year 325 dealership and 76 suppliers participated in 425 community service activities across 41 states, Canada and Mexico during Honda’s Week of Service. This year, Legends Honda, with some help from Legends Toyota, will be donating their service project to Boys and Girls Club of Wyandotte County. Baxter Chrysler Dodge Jeep Ram Lincoln is sponsoring the Fresh Start Mini Golf Tournament at Adventure Golf. The tournament will include a light breakfast and lunch plus prices for best and worst team scores as well as most money raised. All proceeds from the June 2017 tournament will go to Fresh Start. Fresh Start is a transitional shelter that empowers homeless women to change their lives by recognizing and utilizing their strengths to overcome barriers to self-sufficiency. Take a ride on the ’20s Ford Tri-Motor plane. Baxter’s Ford stores are sponsoring the first luxury airliner at the Millard Airport for a few days. Stop out and experience the plane that redefined the world of travel and marked the beginning of commercial flight. Baxter Ford South hosted a Military Appreciation Event for Offutt Air Force Base and National Guard veterans and current service members. Boxers @ Baxter is a great opportunity for Subaru lovers to get together and will be hosted from two separate locations. Saturday’s gathering will take place at Baxter Subaru with Sunday’s festivities happening at I-80 Speedway. Lexus of Lincoln and Method Cycles are teaming up to host an exclusive happy hour for their customers. Enjoy an evening of fantastic food from Gilded Swine catering. Plus, there will be drawings for door prices throughout the evening. Each year, tractor pull event is held in memory of Jason Hoffmann. This year, the Four County Fairgrounds in Dunlap, IA is where the action is. Baxter Auto Group is proud to help sponsor this event. The National Championships for the 2017 Age Group Olympic-Distance and Sprint Triathlons are held in Omaha. This year, Baxter Chrysler Dodge Jeep Ram Bellevue is providing vehicles to assist in the setup and transport of racing equipment. Last year, this event had more than 3300 finishers at Levi Carter Lake. Baxter Volkswagen will be represented out at the Maha Music Festival in Aksarben Village. While you’re listening to some great music, stop by and see a vintage VW Microbus, a VW trailer and a few other surprise Volkswagens. Nebraska’s largest one-day bicycling event takes pace on Sunday, August 20. Mercedes-Benz of Omaha is proud to take part in sponsoring the 27th annual Corporate Cycling Challenge, the proceeds from which go toward the Easter Nebraska Trails Network. This exhibit is designed to take the family on a summer adventure. Immerse everyone in close encounters with life-like dinosaurs. The exhibit will run May 2017 through September 2017. Plus, keep an eye out for a dinosaur-wrapped Tiguan from Baxter. Both Legends Honda and Legends Toyota employees are going to take some time out of their day to volunteer at the Greater Kansas City Humane Society. They’ll be cleaning the facility and assisting with any other needs. The volunteers will also be playing with the animals to help them use up some energy. This event includes cocktails, dinner and an auction to support Omaha’s Henry Doorly Zoo and Aquarium on behalf of the Omaha Zoo Foundation. The September 2017 theme, Night of the Tiger, was chosen in anticipation for the zoo’s upcoming exhibit: The Asian Highlands. The new exhibit will house the zoos tigers, snow leopards and red pandas. The American Red Cross is celebrating 100 years of service in Nebraska. On September 17, Baxter Auto is proud to help sponsor a dinner to help benefit the Red Cross and help them continue their work. That Archbishop’s Dinner for Education takes place each September to provide an opportunity to publicly recognize the dedication of Omaha’s Catholic school educators and to thank those who support the schools. This September 2017 dinner also helps raise funds that offer the opportunity for low-income students to attend Catholic schools. 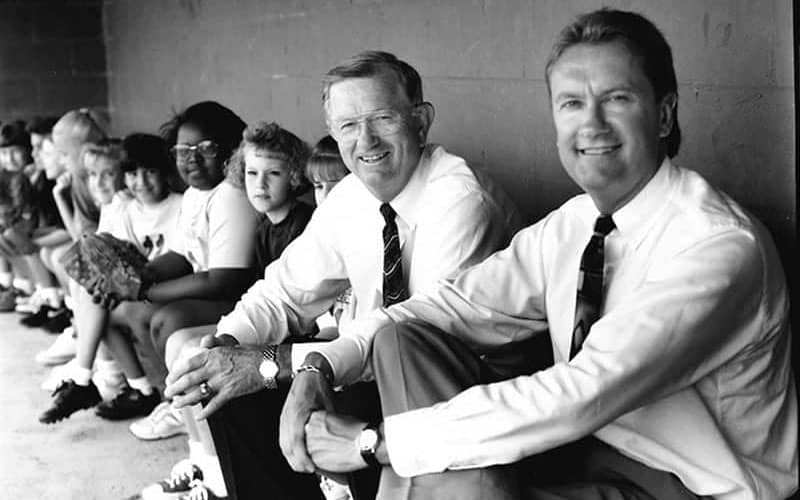 The Voices for Children in Nebraska will celebrate its 30th birthday this year. The 30th Birthday Gala will feature a lively cocktail hour, a dinner and a live auction. Sandy and Kate Dodge will serve as the Honorary Family during the gala because of their commitment to Voices for Children. Kate and their son, Nate Dodge have served as board members and Kate and Sandy were the Honorary Family for the first ever Voices for Children gala in 2005. Audi Omaha is proud to take part in this event as the parking sponsor. The 2017 Margre Durham Walk for the Animals is Omaha’s largest dog-friendly event. This year, it will be held on Sunday, September 24 from 11am to 2pm. Baxter Subaru is sponsoring the 5K which starts at Democracy Park and runs through Keystone. There is also a mile-long walk, adoption dog parades, a beer garden, a silent auction and a Kids Zone throughout the day.